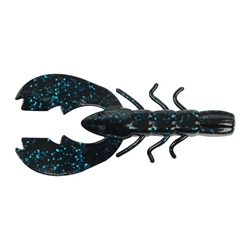 Berkley's Chigger Craw was designed with rigging versatility in mind. You can fish it as a jig trailer, Texas Rig or open water jigs. This tournament winning bait creates more strikes with its high action pinchers.